Jockeys must display a good balance of behavioural management, horse sense, skill, and courage in order to be successful, and there are very few who go on to become great. While assessing the success of a jockey is incredibly subjective owing to the fact that they are not single-handedly winning the race, others may consider the amount of winning purses earned to be the true mark of prestige. However difficult it is to definitively name the most successful jockey of all time, we’ve put together a list of the 5 most successful in history. Bill Shoemaker won his first race at the age of 18 and during his illustrious 41 year career, he went on to win 8,882 more. Shoemaker won almost every major North American race including the Belmont an incredible 5 times, the Kentucky Derby 4 times, the Preakness Stakes twice, and the Breeder’s Cup Classic. The Triple Crown may have eluded him, but Shoemaker was named the United States Champion Jockey by earnings a whopping 10 times. 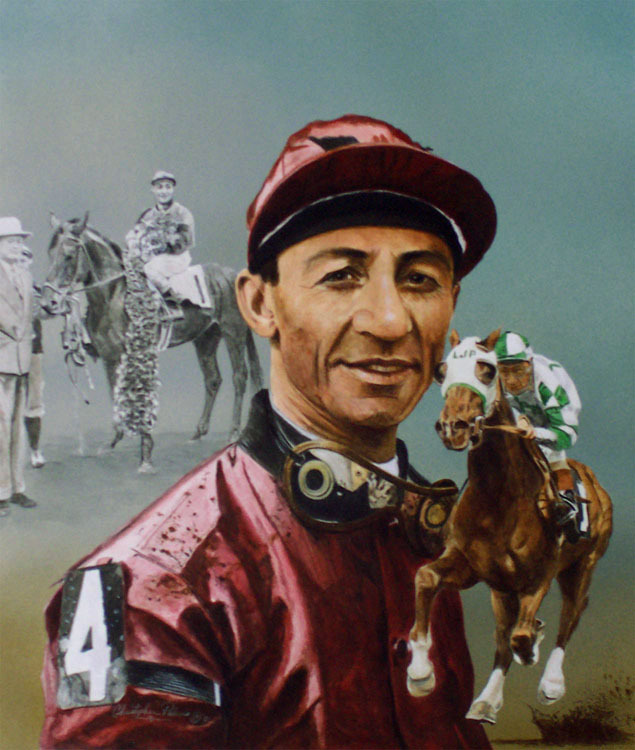 Laffit Pincay Jr. was once flat racing’s leading all-time winning jockey and still held his position as the most successful in history many years year after his retirement. Pincay completed for the most part in the United States and on 10th December 1999, at Hollywood Park Racetrack in California, he broke the career victory record held previously by Bill Shoemaker with his 8,834th win. Pincay certainly would’ve distracted from AFL premiership betting when he won the Kentucky Derby and Belmont Stakes in 1984 with Swale, taking his third consecutive Belmont victory. Nicknamed “The Long Fellow” owing to his 5’8” height, Lester Piggott became somewhat of a household name at the tender age of 18 when he won the Epsom Derby the first of 9 times. Due to his stature, Piggott always rode under his ‘normal’ weight and won most of the European races on multiple occasions, including 30 British Classics races, the Prix de l’Arc de Triomphe and Irish Derby 3 times. Born prematurely, Eddie Arcaro would grow to be just 5’2” tall which certainly played a big part in him winning over 24,000 races. The only jockey to ever ride 2 different horses to the Triple Crown, Arcaro was one of the most successful jockeys during the 1940s and 1950s and he played a fundamental part in the formation of the Jockey’s Guild in 1940 along with Ray Workman, Johnny Longden, Alfred Robertson, Charley Kurtsinger, Red Pollard, and Harry Richards. Inducted into the National Museum of Racing and Hall of Fame in 1991, Pay Day is a four-time winner of the Eclipse Award for Outstanding Jockey and also received the George Woolf Memorial Jockey Award in 1985. Having ridden 9 winners of the U.S. Triple Crown to victory, Day also won the Canadian Triple Crown and the Breeders’ Cup Distaff alongside Dance Smartly, a future of Hall of Famer, and ranks second in the all-time top Breeders’ Cup winners with 12 wins.